"We designed City Hyde Park to build on the dynamism and livability of the Hyde Park neighborhood." 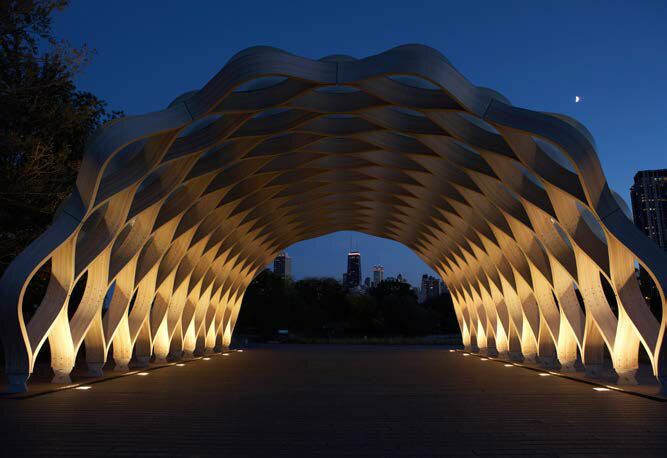 City Hyde Park is the creation of National Design Award–winning architecture firm Studio Gang Architects, led by founder and principal Jeanne Gang. 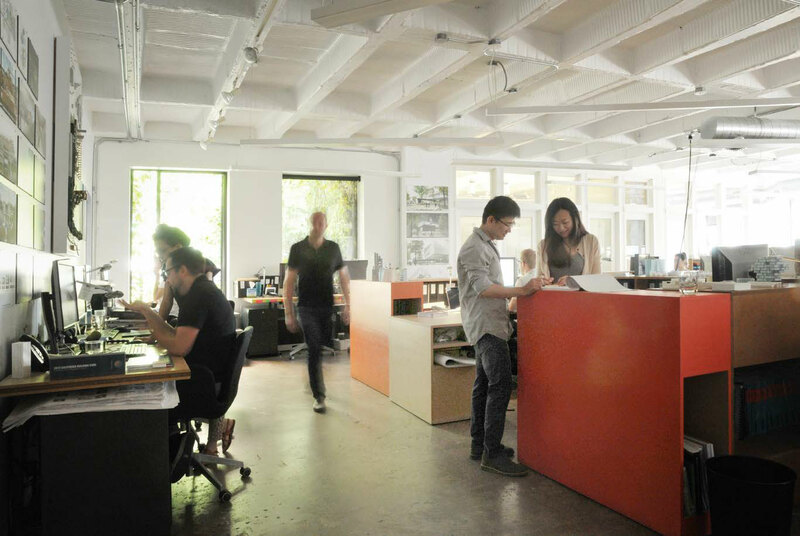 Internationally recognized for her innovative use of materials and environmentally sensitive approach, Jeanne explores the role of design in revitalizing cities. 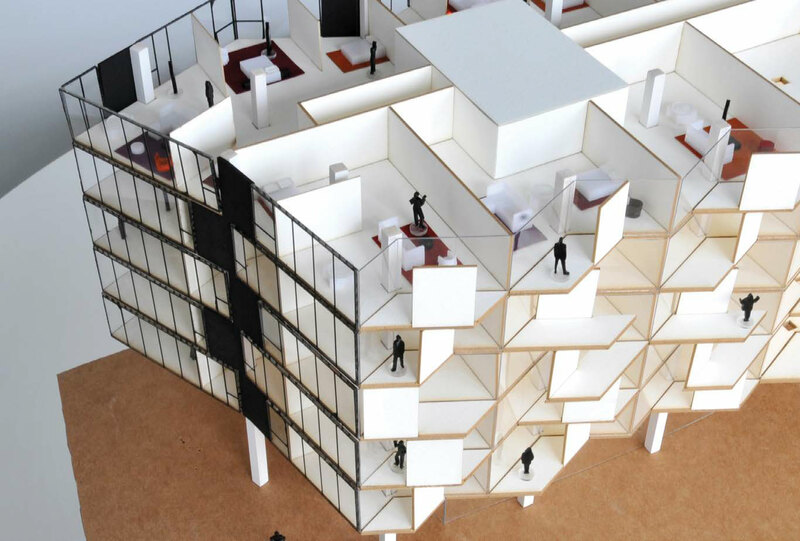 Through projects ranging in scale from community anchors to tall mixed-use buildings, she engages pressing contemporary issues and their impact on human experience. 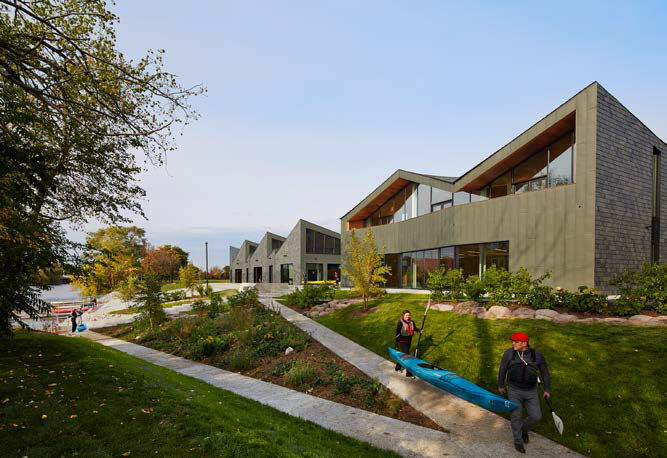 Employing this approach, Jeanne has produced some of today's most compelling Chicago architecture, including the Nature Boardwalk at Lincoln Park Zoo, the WMS Boathouse at Clark Park, and Aqua Tower. 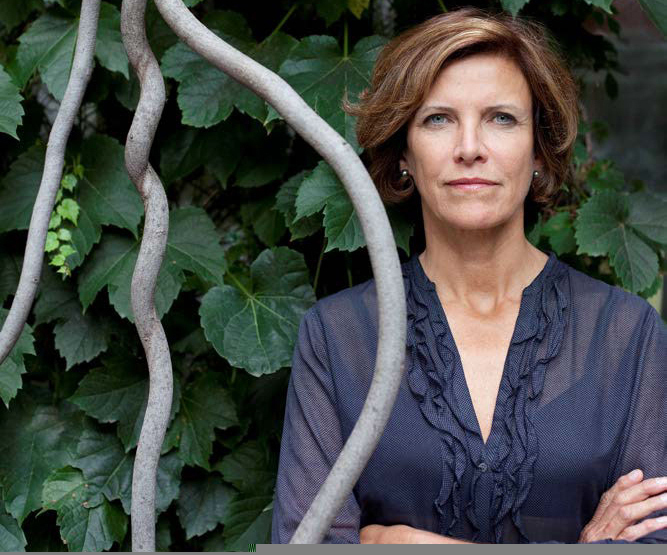 Jeanne Gang, Founder and Principal Architect, Studio Gang Architects. Photo by Kevin Miyazaki and Redux. City Hyde Park brings new options for living, shopping, and outdoor recreation and leisure to its full-block site. At street level, wider, improved sidewalks complement the building's retail arcade and lobbies, contributing to a dynamic, walkable community scene. Above, a residential tower rises from the colorfully tiled plinth exhibiting the four seasons, and housing amenities including a shared garden and outdoor fitness areas. The tower's facade emphasizes its structure, with a playful array of stacked concrete panels forming columns, bays, sunshades, and balconies, offering multiple opportunities for residents to socialize and enjoy the outdoors and connect to the surrounding neighborhood and city. The building's balcony "stems" and alternating wall columns create bespoke phyllotactic patterns that enhance sightlines and create column-free corners. With a LEED Silver certification, City Hyde Park sets a shining example of how sustainable design and a focus on walkability, wellness, and social connectivity can energize urban environments. Nature Boardwalk at Lincoln Park Zoo. WMS Boathouse at Clark Park. 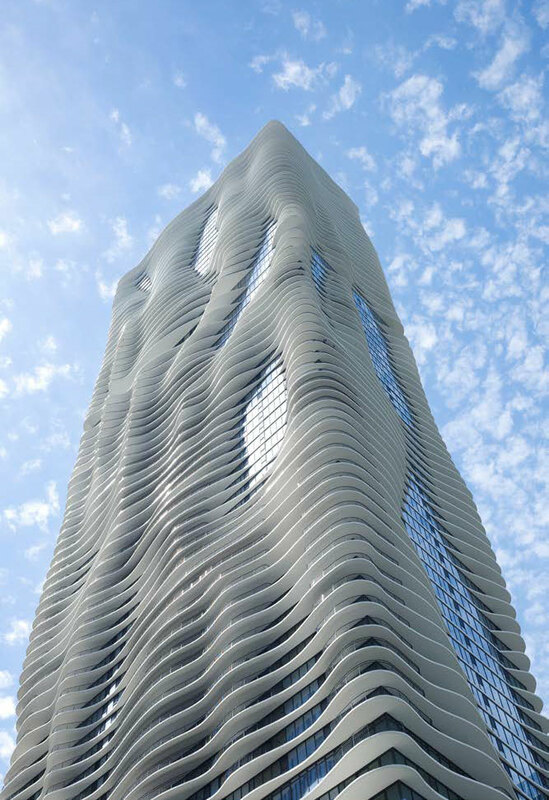 Aqua Tower. Project photos by Steve Hall © Hedrich Blessing, courtesy of Studio Gang Architects.